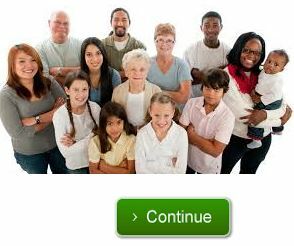 The Department of Social Services website is used to apply for benefits with this program. Individuals have to select their county of residence and then provide the site with the necessary information about themselves. This can include social security number, name, financial need, income information, and some information about any assets. It is also possible to download the application and print it in order to apply for SNAP in Los Angeles California. There are a variety of different languages available to ensure that everyone has an opportunity to apply for assistance. Afterward, an interview must be set up so that the department can determine eligibility. Individuals who are applying in person have to apply at the correct local office and must go to the department for their county. It is always free to apply. Submitting a Section 8 application for Los Angeles, California is not necessary to apply for Food Stamps or SNAP. What will I need to have to apply for Food Stamps in Los Angeles (SNAP)? Generally speaking, you will have to provide proof of your income and some of the other types of information that you may have provided in your application during the time of your interview. You may also be asked for information about individuals that are living with you in your household to help determine your financial need and overall eligibility. The interview can be held over the phone or may also be conducted in person, depending on your availability. The method to locate a section 8 application form and apply for housing concerns a totally different branch and is run by the housing authority. Could I be denied when I apply for SNAP in Los Angeles California? In most cases, people are only denied based on the amount of income that they are making each month when put in comparison with the amount of people that are in their household. Students may also have a difficult time getting benefits with the program, depending on if they have been awarded financial aid. Assuming that the individual is approved, they will have access to an EBT card. The card provides the funds on a monthly basis so that individuals can use their card in replacement for cash when purchasing food. The benefits provided by the program are only to be used for foods for human consumption, seeds, and plants that can grow food. The card can be used anywhere that accepts SNAP benefits in Los Angeles. County offices can provide more information about locations where it has been verified that SNAP benefits are accepted. 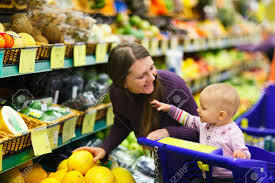 What are the steps to apply for SNAP in Los Angeles California? 1. Locate your local Human Resource or SNAP Office. 2. Check to see if you meet income limits to qualify for SNAP. 4. In most cases you will have to schedule an interview. It is always free to apply for SNAP in Los Angeles California or any state in the country. Government affiliated programs are always free. SNAP benefits can be used to purchase food at grocery stores, convenience stores, and some farmers’ markets and co-op food programs. These agencies, although government affiliated, have nothing to do with low income housing or section 8. The Los Angeles Department of Economic Security is responsible for the Los Angeles SNAP (food stamp program). The program is known as the Nutritional Assistance Program. During the year 2008, the government changed the name of this program to be known as the more widely popular SNAP plan. The California Nutritional Assistance program provides for all of the nutrition needs of families with low income within the area. The program ensures that these families have access to healthy food and that they don’t have to worry about providing quality meals to those who are present within their household. Without this type of assistance, there are many people in the Los Angeles California area which would struggle with the option of feeding their families or paying for their rent and other bills. In order to locate a section 8 application in California online however, contact your local housing authority, which is a different department entirely. Do I have to apply for Section 8 housing in order to be eligible for Food Stamps? No. You do not have to apply for rental assistance in Los Angeles to qualify for SNAP. This is a common misconception. An applicant need only be of low income, over eighteen and an U. S. citizen. Get links to low income housing properties, tenants and landlords in the Housing List Blog located in the Section 8 and Subsidized Housing Online Packet.